Bad Apple Hair began in 2006 as a creative hair salons that focuses clients. 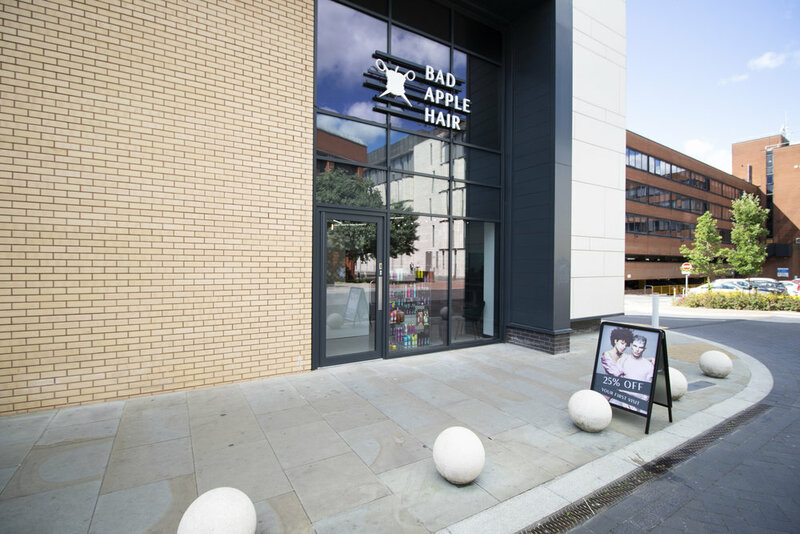 Bad Apple Hair was started as a salon for Birmingham where customers come first and always leave happy, Famous for our urban chic vibe; we are all about hospitality and cutting-edge talent. With razor-sharp precision, our professional team consider shape, colour and texture as they work with you to cut the best hairstyle to match your personality and lifestyle keeping it fresh for each season of the year. Over the last four years, Managing Director Gavin Mills and team have grown the award winning salon group from one salon to six, as well as a Hairdressing Training Academy based in Wolverhampton. With salons now in Birmingham, Walsall, Solihull, Wolverhampton and Lichfield. In 2017, the first part of a collaboration with the world renowned fashion brand Topshop, as we opened a salon in the Bullring store in Birmingham. As a fully functioning salon within one of their stores it is a first for the brand, Bad Apple Hair will now be opening throughout many Topshop stores over the coming years. Education is key for Bad Apple Hair. With both internal and external education being a major focus for the company. 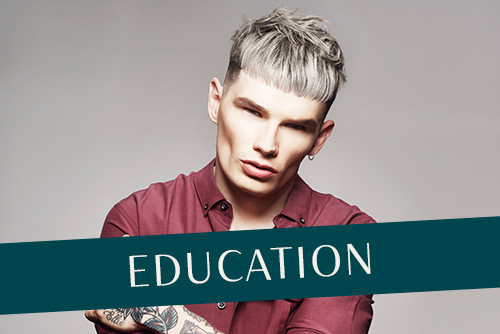 From working with external salons to train their apprentices, to ensuring all Bad Apple staff are trained on the Bad Apple Classics programme, their aim is to continuously push quality training throughout the industry. The Bad Apple Hair art team works with TIGI each year to create their own photographic collections which have been widely publicised.